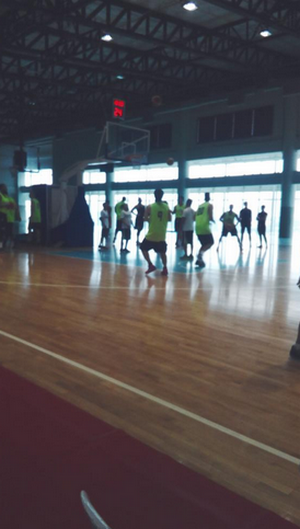 Ginebra loses in Tune-Up Game against Globalport: Game Recap and Boxscores Here, Take a look! With 10 days to go before the PBA Season 41 All Filipino Cup 2015 opening day, GlobalPort Batang Pier racked up a confidence boosting tune-up game win over the Barangay Ginebra San Miguel, 94-92 on Wednesday at the CCF Gym. The game started with Ginebra's first five: Mark Caguioa, LA Tenorio, Greg Slaughter, Chris Ellis, and Japeth Aguilar going up against Globalport's: Chris Jensen, Roi Sumang, Jay Washington, Dorian Pena and Stanley Pringle. It was a seesaw battle wherein both teams exchanged runs. The first quarter belonged to Ginebra, 18-17. GlobalPort responded with a run of their own to steal the lead at the end of the second quarter, 45-35. Ginebra got their game going in the 3rd quarter as they nailed a number of outside shots to establish a 5-point lead, 67-62 after the third period. Globalport started the fourth and final quarter with a series of inside points. They maintained their momentum up to the final buzzer to outlast Ginebra by a precarious 2-point lead, 94-92. GlobalPort got the victory without their superstar guard Terrence Romeo who's still resting after a courageous Gilas stint in the FIBA Asia Championship 2015.